Time for a car upgrade? I’m thinking it might be time to upgrade my car at some stage soon. Some people turn them over every few years. Not me — I’ve been driving a 2000 model Astra hatchback since 2008, almost nine years. The previous car was a 1993 Magna, which I had from 1998 to 2008. Of course, I drive far less than the average person. In fact it’s common for the car to not leave the driveway for almost a week at a time. If we had car share in my area, I’d be seriously considering it. But we don’t, and with weekend PT (other than north-south on the trains) being lacklustre, it’s still needed. With my sons now moving towards learning to drive, and the Astra nearing 17 years old, I think it’s time to consider an upgrade. The other big reason? My mechanics told me at the last service a few weeks ago that the next one would be a biggie. So, if I’m upgrading to a “new” secondhand car, what should I buy? Car size — probably similar. I want something reasonably economical, and easy to park. A 5 door hatch has been good. Though it needs to be not too squishy in the back seats. Safety — the prospect of my offspring driving makes me think now is a good time to move to a five-star safety rating, so it would need to be a reasonably recent model. Goes without saying — aircon, power windows, remote locking, cruise control, all those modern conveniences. Some kind of modern music connectivity would be nice (though not essential) — who’d have thought a CD player in the car would ever seem old hat? Auto or manual? Mostly I like driving a manual, but sometimes it’s a pain. The boys started out happy to learn on a manual, but early lessons have proved frustrating — the mysterious workings of the clutch are holding them back from learning everything else. So I’m leaning towards an Automatic, and later they can learn manual driving. Price — I’m thinking up to about $15K. Of course hopefully I can probably trade-in or sell the Astra. Private sale might actually be a bit of a chore, given the need to get a Roadworthy. Theoretically it’s worth about $3-4000, though it’s probably not in the best shape. Not that it’s been in any prangs, but it’s aging, and if the mechanic is warning me of costs to come, the best I might get is a couple of thousand from a dealer trade-in. Toyota Corolla — apparently October 2012 onwards gets a 5-star safety rating. There seem to be quite a few around the $12-15,000 mark. Hyundai i30 (2015 onwards gets 5-stars, which might price it too high for my budget). Prius or Mazda 3 would suit but are probably out of my price range. Why does the default search on drive.com.au not filter by location? Do they really think it’s useful for the default results to include cars that might be thousands of kilometres away? Carsales.com.au isn’t much better. Start entering criteria in the quick search option; realise you want to filter by age of car and need to go to the Advanced criteria, and it wipes everything you entered so far! Next → Next post: Why is the Night Bus stop for Bentleigh station not at Bentleigh station? VW golf? I’m kind of against them based on Dieselgate, but the cars are good – spacious, decent door thunk, good options (reversing camera etc). You could get a 3-4 year old comfortline at around 15-16k. I’d never buy a diesel. I’ve got a 2014 golf, and hoping I can stretch it out long enough to make sure my next car is a fully electric model (maybe Tesla 3, but may be others by then). I am looking to replace my 2002 Astra and am leaning towards a Honda Jazz. You should be able to get a second-hand current model for around $15k. I’ve read a lot of good things about the Jazz too – certainly worth checking out. A lot of space in the back (apparently). Toyotas and Hondas are very good cars that hold their value and can go hundreds of thousands of kilometres/miles. Hi Daniel, it depends on what purpose you want to replace your car. If you want to upgrade, then go ahead of course. There is no ‘right’ car to buy, modern cars these days are pretty reliable but if you’re buying 2nd hand – get a mechanical inspection done. – the older the model, the better value-for-money it is. – this is true all the way back to your existing car. If you are just after mobility, you might be better not upgrading at all. – If that’s an option, ask why your next service will be a ‘big one’? Your car isn’t worth much on the market anymore, so you won’t recover the costs of service done to prolong it’s life and resale value. You need to get safety-critical stuff serviced (e.g. brakes), but if the factory schedules in a valve clearance adjustment – I wouldn’t bother. – cost-effective safety can be gotten from buying a bigger car. You can have 20 airbags in your Honda Jazz, it isn’t going to ‘win’ against a Falcon or Prado. – going through a dealer is convenient, but you’ll pay through the nose. You’ll be offended at what they offer you as a trade-in (it’ll be less than you’re expecting) and pay more for your purchase. – you can save a fair bit by buying privately, and protect yourself by getting a 3rd party mechanical inspection and security check via VicRoads for clear title. It will cost you a bit of time, but save you money. Its too bad, Car next door looks like a cheaper solution for you however they haven’t expanded to the Bentleigh area yet. I’ve been pretty happy with my SO’s Nissan Micra, and also quite impressed with the Jazz. They’re both like the TARDIS in terms of space and storage and can squeeze through traffic easily. 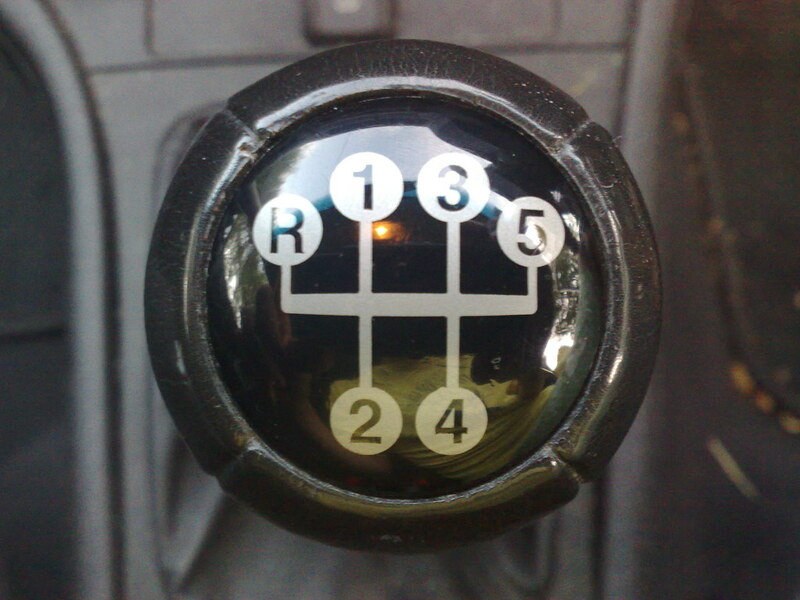 As you will discover, a manual geared car will not be desirable trade in. Trade it in and screw the dealer on price and then walk away and then get a better price. Your old car’s value is minimal. Privately, you might do better but such hard work. A Mazda 2 kind of suits you, but for a bit bigger, buy yourself a boring Toyota Corolla. They are my work cars, and they are ok.
PS, you don’t want a year 2000 Hyundai Lantra auto? Two of four electric windows still work, central locking, and the air con is as good as you will find on any newer car. Chill you to the boots. I’ll chime in with my 2 cents. I’m 21 years old, I purchased my first car shortly after getting my license at 18. It’s a 2005 Mazda 3 Maxx Sport manual hatchback. Like you, I drive little. Fuel.ly, which I enter all my fuel-ups into, says I’ve travelled 21,500km since February 2014 (3 years 2 months). I fuel up on average every 3 weeks or so, and average 9.5L/100km economy. I drive little because I prefer to ride my bicycle for the 8km trip to work every day. 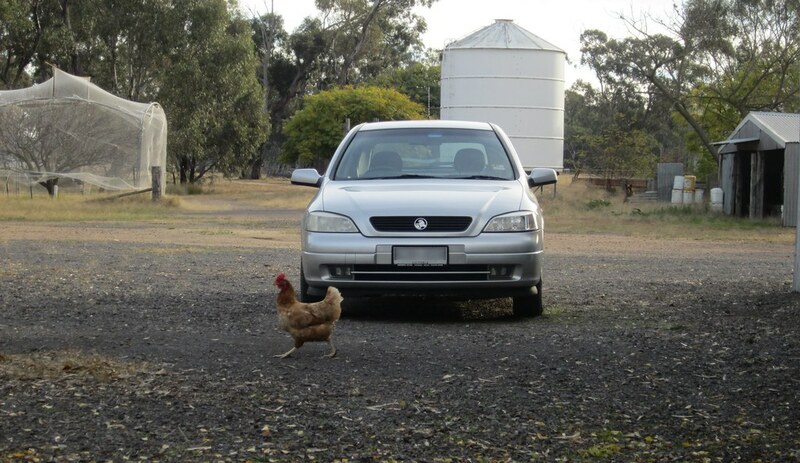 In 2014, I bought the car for just under $7k with a tad under 200,000km on the clock, from a private seller on carsales.com.au. It has cruise control, power windows, air con, remote keyless entry, etc. It’s also a manual. You should teach your kids in a manual, sit the test in a manual, and then switch to an auto. That way, they can legally drive any car they jump into. Few of my friends can drive my car, but I can drive theirs. Can you hold off on the upgrade until your kids pass their test? My parents did this. If your budget is in the vicinity of $15k, you will certainly be able to get a much newer, lower km 2nd hand Mazda 3 than mine. Look for the Maxx or Maxx Sport model level, as they have more safety features than the base model Neo. A 2008 or newer model will likely have Bluetooth and whatnot built in, too. Speaking of safety, don’t quote me on this but I’m pretty sure mine is 4 or 4.5 star ANCAP. That was a big focus when I was looking for my first car. The Neo didn’t have side curtain airbags amongst other things, where the Maxx Sport did. I’m very happy with the comfort of the car. It’s nice and roomy – including in the back seat, in which my 6′ 5″ brother fits! I would strongly recommend the hatchback, because the ability to fold the back seats down is incredibly handy. I can fit a fully assembled adult bicycle in the boot, with space to spare. A hatch is also useful for bringing home IKEA furniture and the like. Keep in mind that if you trade in your Astra, you’ll be insulted by the dealer’s offer and I’m willing to bet it would be around $1k. You will be better off with a private sale, no question about it. Daniel, I have tried to have a Nissan Pulsar or variant for many years, as they are not only reliable, they don’t have a cambelt so you don’t have all the problems they cause. I still have the old 2004 Pulsar wagon for stuff wagons do. After buying it second-hand five years ago, it has never broken down. At all. But I got a 2009 Suzuki Swift last year for running about town (though it does long distances well too). But it’s getting VERY hard to get a manual. My last decent manual was three cars (two Pulsars) back. There is no advantage in teaching your kids on a manual. This might be my personal bias showing, as I never needed to drive a manual, but they are very likely to be in the same position as me. Autos are barely more expensive than manuals these days, and there are fewer and fewer manuals on the road. If they absolutely have to drive a manual later on (very unlikely), the auto-only condition only applies to probationary licenses, which they’ll be off within three years, so it’s not like they’ll have to redo the test or anything. With 7 year warranty you should at least consider a 2014/15 Kia Cerrato. My pick would be a 2 year old i30 with the balance of the 5 year warranty left it should be doable for your budget and meet your safety requirements. I disagree with the statement about safety above. You really can buy yourself safety, even in a ‘small’ car (which would easily have been considered a medium size car a generation ago). Active safety features such as stability control add to passive ones such as crumple zones and airbags to make for vastly safer vehicles. Unfortunately the Federal Government has not taken the lead in making these features compulsory as a number of other countries have done. Your biggest challenge will be keeping your children’s hands and eyes away from their devices while driving. It’s worth instituting a glovebox rule, where their phone is put there every time, and they are required to pull over and stop before answering or checking it. I’d put the last few years of Kia Cerato and Hyundai i30 near the top of the list alongside the 2013+ Corolla. On the trade-in vs sell option, I would recommend just trading it in, unless you are a hobbyist at this. Selling a car is a long process and will wear you out. It will also cost you at least $1000 to get the car roadworthy (in the eyes of an inspector), in addition to the time spent taking it to a mechanic (or multiple places if you want better prices for some of the repairs). The only reason I sold my previous car was that I wanted it to go to someone who would appreciate it. If I’d traded it in, it would have been sold again by an unscrupulous dealer. 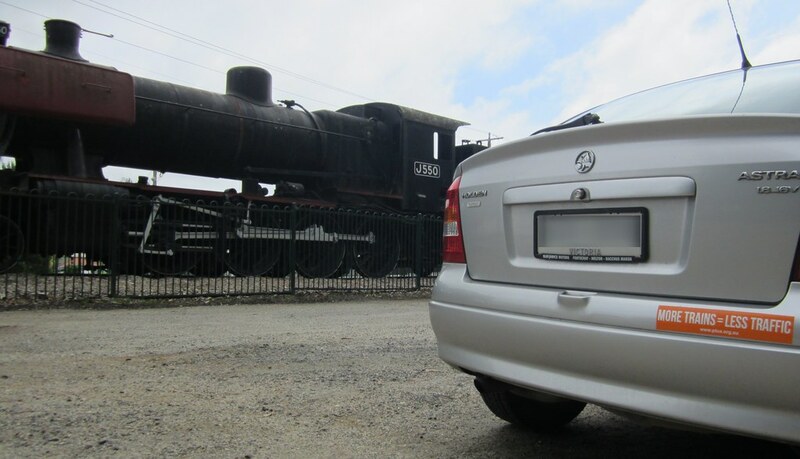 You don’t have that issue – your car is just transport for you; mine had sentimental value. On the manual/auto issue, I’d recommend letting them learn in an automatic if they don’t have an interest in mechanical devices. If they like to know how things work and can appreciate how a car works, they will find it easier to master a manual transmission. But if they have no idea what a clutch does or how the gears work, it will be safer and less stressful for them to start with an automatic. They can always learn a manual later if they desire. That’s what I did (even though I do love mechanical things and understand the car completely). I’d avoid a Jazz simply because they’re quite noisy. They have little sound insulation and I notice how much noisier they are than cars one notch up the size range, such as Corollas, Golfs and Civics. They are brilliantly designed otherwise, and if the noise doesn’t bother you, you would find a Jazz very roomy and practical. It will easily accommodate tall people in the back seat (a Civic won’t because of its low roof). If possible I’d go for a Mazda 3. They are incredibly reliable and in the 7 years I’ve had mine (2007 model) I have not had any expensive issues (just routine servicing). I would also consider a Mitsubishi Lancer. Many will beg to differ on this but if you don’t drive many km, a car with high km (close to but not beyond 130,000 km) and a complete service history could be good value and could mean you get a newer model for the same outlay on a car with lower km – just make sure it is inspected and roadworthied independently. Some background on trade-ins: last time around I was looking to sell the old car (1993 Magna) and buy the current one (2000 Astra). I found the Astra at a dealer in Melton, and asked about trade-ins. He said perhaps a couple of thousand dollars. At the time the theoretical price for a 1993 Magna was about double that, so I passed, thinking I could sell it privately. It became obvious that I’d have to spend a fortune bringing it up to scratch for a roadworthy. This is obviously something a dealer could do more cheaply, with cost-price access to mechanics. It ended up not being worth it and the car got sold for scrap for (from memory) about $350. The Astra is now 17 years old; the Magna was 15. So as @Phillip says, if it’s similar amounts this time around, I’d probably take the trade-in if offered. I got a 2007 Honda Jazz a couple of years ago and have been very pleasantly surprised with the fuel economy. That’s very diplomatic of you to put the dealer’s cheaper roadworthy costs down to ‘cost-price access to mechanics’! Go now but if you are still thinking about it go for a manual. Hang in there’s on the boys struggling. Most hire Utes ( Bunnings) etc are still manuals. If they are with friends and they turn out to be the only responsible driver left of an evening and car is a manual they can drive it … sorry all I can think of ATM. The i30 range have very decent leg room in the back for adult sized passengers. As does the Elantra. and then edit 5 years and get an affordable electric.